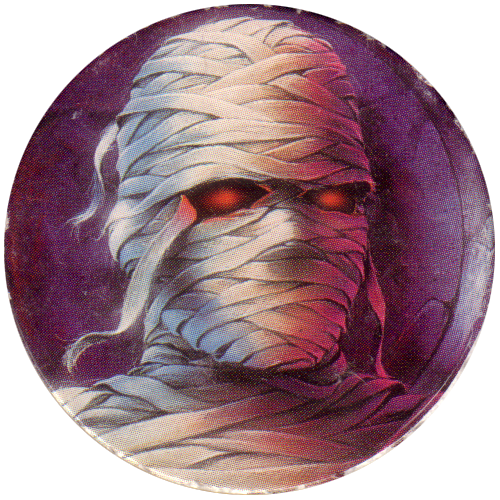 Info:These Goosebumps scaredy-caps feature characters from the various Goosebumps books. They were available as 16 caps together with a 'Goosebumps Scaredy-Caps Special' book. Judging by the numbering of the pogs, there appears to be at least 29 Goosebumps scaredy-caps. 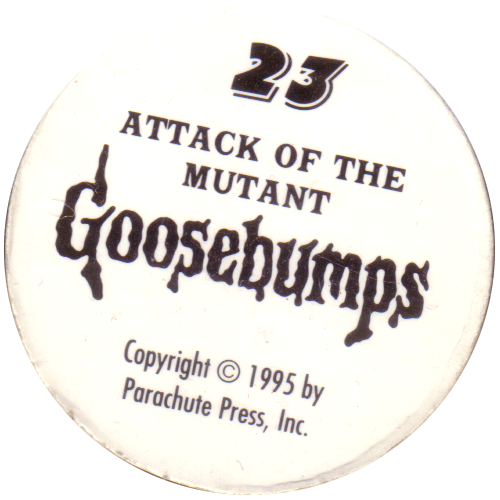 Since the book only came with 16 caps, presumably you would to buy it multiple times in order to collect the full set of Goosebumps pogs. The book also came with a slammer, which I don't have. Country:United StatesYear of release:1995Produced by:Parachute Press, Inc.